Fourteen NGOs, including Amnesty and Global Witness, have opposed the exchange’s plans to ban tainted cobalt. The London Metal Exchange has been under pressure to ensure cobalt traded in its exchange is free from human right abuses, but non-governmental organizations have warned that singling out low-priced cobalt is not the solution. 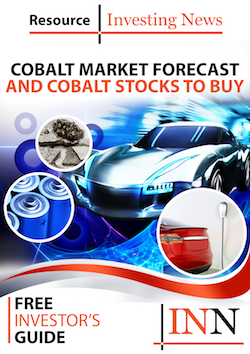 The LME’s plans, which were outlined in October, involve suspending cobalt brands trading at a significant discount to its contract on the grounds that they may be seen as tainted. More than 50 percent of the world’s cobalt supply comes from the DRC, the world’s top cobalt-producing country, with about 20 percent extracted by artisanal miners, which carry higher risk of using child labor. As demand for cobalt, a key element in lithium-ion batteries used to power electric cars, continues to surge, the need to ensure cobalt supply chains are clean and transparent is critical. But 14 NGOs, including Amnesty and Global Witness, have opposed the exchange’s plans saying its implementation would result in discrimination against small-scale miners over large global mining companies. “It is short-sighted and irresponsible of the LME to single out cobalt and tin as higher risk metals above others, or to single out (artisanal) material as implicitly higher risk,” the joint letter said. According to the statement, all companies involved with the exchange should implement responsible sourcing practices in line with the OECD Guidance, which says they should report about their supply chains in detail. It also advises on ways in which they can uncover and address human rights and corruption issues. A spokeswoman for the LME said it had received 39 responses to its recent discussion paper on responsible sourcing. The exchange will publish its proposals this quarter. “The LME’s role is now to identify a path forwards which balances the diverse views of its stakeholders [including civil society organizations], while achieving the LME’s stated aim of helping the broader metals industry embrace key principles of responsible sourcing and environmental stewardship,” the exchange said.